Chelsea to offer new contract to Midfielder with Jose Mourinho and Manchester United waiting in the wings? Nemanja Matic is to be rewarded for his outstanding contribution to the Chelsea cause this season with a new contract as Antonio Conte looks to fend off reported strong interest from Jose Mourinho and Manchester United. What a difference a season makes in football. This time a year ago, Matic had lost his place in the team with the interim coach Gus Hiddink favouring John Mikel Obi ahead of him. He looked a frustrated and dejected figure having made a triumphant return to Chelsea the previous season under Jose Mourinho as Chelsea won their fourth Premier League title. He couldn’t get into the team and rumours circulated that he wanted a way out and was desperate to leave last summer. The rumours gained momentum with his distinct lack of celebration after his goal against Bournemouth towards the end of the season in what appeared to be a rare appearance in the side. So to the summer with the announcement that Jose Mourinho had taken over at Manchester United and was being backed by their owners to make signings as he looked to build a team in his image. Almost immediately, Matic was being linked with a move up north to re-join the man who had brought him back to Chelsea three years ago for a fee of £21m from Benfica. It was clear back in the summer than United lack a real defensive midfielder in their squad. Someone naturally defensive to protect the back four and Matic seemed to be the perfect fit (even now their lack of a defensive midfielder is more than apparent). So to the arrival of Antonio Conte last summer at Chelsea and the fact that he was announced as the new manager as early as last April ahead of Euro 2016. As last season played out it’s final weeks of the season, we were reading in the media that Conte had paid a visit to Cobham and our impressive training ground to have a look at the set-up he was due to inherit. It also became apparent that he was there to speak with the players ahead of his arrival and subsequent plans for the new season with Matic being one of those players. The season was over, the transfer window opened and we were hearing of substantial interest from Juventus in Matic as a replacement for Paul Pogba who had just signed for Manchester United. Antonio Conte stepped in and persuaded Matic to remain at Chelsea as he would become an important part of the team once again and the Serbian remained a Chelsea player as we headed into the new season. What a season it has been so far! Ever since Antonio Conte has made the now famous tactical switch to our 3-4-3 formation, Chelsea have been superb and Nemanja Matic has played such an integral part in that despite his midfield partner N’Golo Kante receiving all the plaudits. Conte's ability to study his players and to decide on what would suit them perfectly has worked wonders. It's been that impressive you almost feel like asking him for any Cheltenham 2018 tips. As I had stated a number of times last season, Matic is more comfortable playing next to someone who can tackle and someone with plenty of energy. He struggled after the departure of Ramires last season and playing next to Cesc Fabregas, Matic was almost given no choice but to try and cover across both sides of the pitch in areas that Fabregas was unable to. He became stretched, outnumbered and caught out of position numerous times and his form took a massive down-turn. Playing next to Kante this season, you can see how much Matic feels more comfortable knowing that just needs to do the job he has been asked to do because he has someone next to him willing to do the same (you will note of late that when Fabregas plays, it’s Kante next to him). 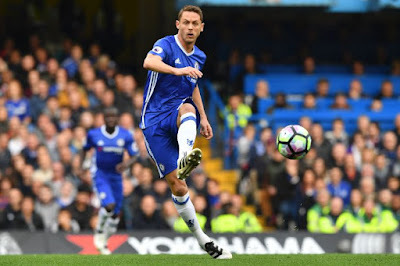 Nemanja Matic has been imperious, dominant and a real integral part of our change in fortunes that has taken us ten points clear at the top of the Premier League. He has formed such a good partnership with Kante as they both look to protect our back three and they will both need to be at the top of their game as we head into the final run in to the end of the season. Think of midfielders in the Premier League that have a presence, players that have a natural defensive ability but who are also good with the ball at their feet. You will not find that many better or more effective than Matic and it’s no surprise that he is to be offered a new contract. This summer Jose Mourinho will come calling once again without question as he looks to bolster his squad with someone who can actually play a defensive role in front of his back four. 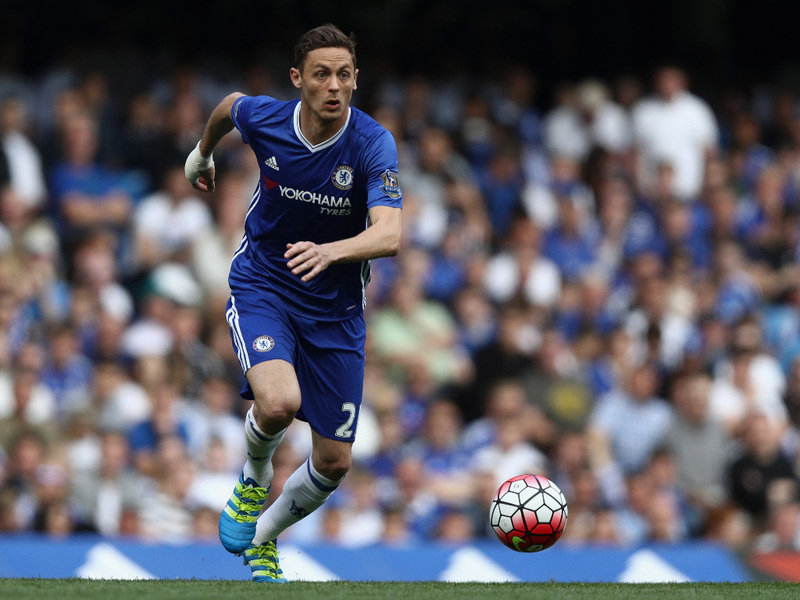 Let’s hope that we can put an end to any thoughts he has of doing so by securing the long-term future of Matic sooner rather than later.